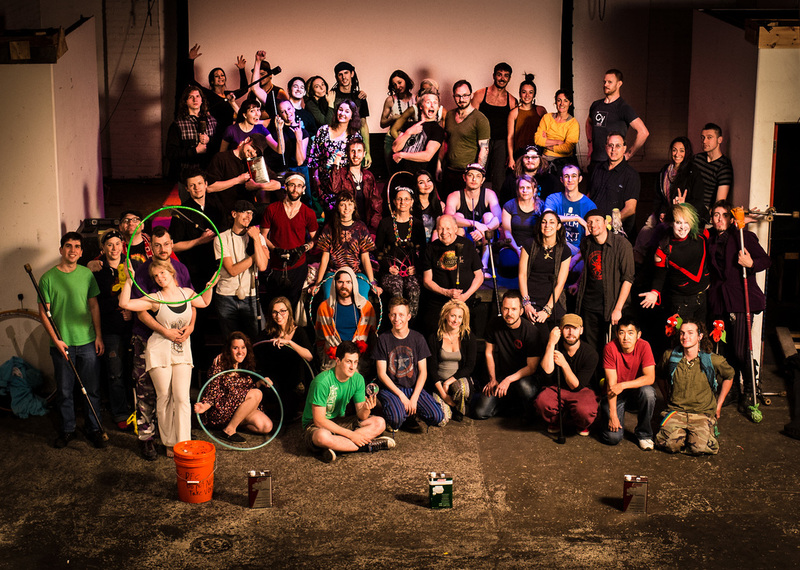 The Detroit Fire Collective is made up of several individuals who meet up each Monday to practice their art, donate their time, and share techniques of the circus arts. It cannot be stressed enough that this community would not be possible without the help of every individual that makes this community strong and beautiful. THANK YOU for making all of this possible! 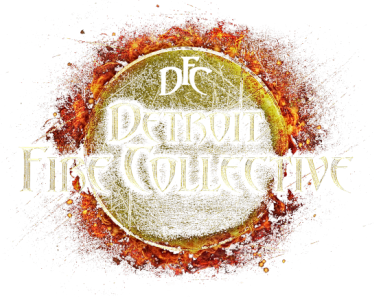 In 2013 when the Detroit Fire Guild disbanded, there was an empty feeling left in the community and the Detroit Fire Collective presented an opportunity. Through passion and dedication, former members of the guild banded together to rebuild, create, and express the love they had for the community. When the DFC was born we had recently moved to a new location, practices were inconsistent, and our numbers had dwindled from when the DFG was active. The first step towards a new future for our community was stability. Regardless of how many people came out each Monday, we knew that we had to start having our events every Monday again. The second step was showing our community that we cared and wanted to give back. On top of having a consistent weekly flow jam, we also wanted to bring back workshops and monthly potlucks. Little by little, the community began to grow, and in order to keep it growing we needed to water, feed, and nourish it. We needed a vision. An idea for what kind of community we wanted to create. The vision for the Monday night Flow Jam was a place that people go to express creativity; A place where a person could feel welcomed regardless skill level or background. However, a community cannot be forced to be a certain way. We could only act towards others the way we believe people would want to be treated in order to feel welcomed and accepted and hope that other people would act that way in return. In rebuilding this community people needed to see that it’s okay to mess up in public with their props. It’s called practice for a reason, and everyone is learning no matter what skill level they are at. Our goal is to make individuals feel empowered. If an individual came to our group not knowing a thing about the flow arts we want them to believe that they can do it too. Each week members of the community go out of their way to introduce themselves to new people and get to know a little bit about them. If new individuals have never used a flow toy before than people are happy to teach them. The most important aspect to the Detroit Fire Collective is community. Enjoy and keep the passion burning! Top image is Fire Dancer, Tina Wald creating letters. Each letter was photographed by Glenn Corcoran and photographic editing/composition by TIna Wald.